"Professional Disco - Professional and Reliable"
Steve Justin Roadshow is figure headed by me Steve Justin. I have DJ'd for all my working life and I am one of those few but lucky people who are able to say that their work is their hobby. I can honestly say I really do enjoy my work, not just technically, I get a real buzz seeing a crowd having a good time. My goal is to build rapport with my audience to make them feel relaxed ultimately encouraging them to come together and have a memorable time. I am constantly collecting and adding to my repertoire of music. My catalogue is extensive and very varied and virtually all genres are covered however diverse. I am assisted by a sound engineer and a lighting technician. Both are reliable and have been with me for many years. As a team we blend well and endeavour to create a formidable road show. - our dress code is your choice. We will dress to impress, dress up or dress down. Theme nights are not a problem! Required by many venues, Steve Justin Roadshow has a current PLI policy with SEDA in the amount of £10 million. Also required by many venues, Steve Justin Roadshow has supplied satisfactory evidence of holding current PAT inspections of their equipment dated within the last 12 months. A Method Statement, outlining Steve Justin Roadshow&apos;s Health & Safety procedure for setting up disco equipment has not been supplied. Why do people choose to book Steve Justin Roadshow? Local to venue. Flexibility on play list. Lasers and free photo CD of event. "Allot of feedback from everyone saying how good the music was! Thank you very much, was a great night. Photos, although not professional, were a great added extra and was a nice surprise." "We had a brilliant time, the service was great and all the staff was so friendly and smart. Having photos included made our day better as I didn’t need to take any. Would use them again." "Many thanks from all the team." "I was delighted. I wanted a DJ that would play the music we wanted and who made sure the evening was all about us and not about him. He played all the requests we had pre-submitted and added to that with smart choices of his own. 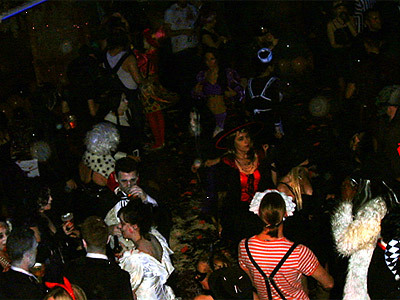 The dance floor was never empty at any point and the evening was a huge success. A nice touch was the photos they took and posted to us on CD, brought back fantastic memories of the night. Great communication from Denise before and after the event. Highly recommended." "Many thanks for your kind review, much appreciated by all the team." "My 60th Birthday couldn't have gone any better, everybody has commented since on how good the Disco/DJ was and some have asked for his details for events they are going to be planning. The Photo disk provided was the icing on the cake as it provides a really good record of the evening. The whole team were great!! " "Very good service from the team. The lighting set up and lasers made the atmosphere. 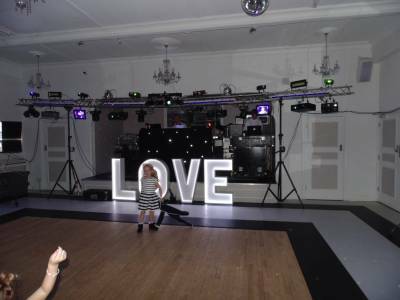 The DJ knew when he needed to change the song to get the crowd going and the assistant who took pictures was an added bonus would definately book him again"
"Steve Justin roadshow was the best disco we have used. Steve and he team were excellent from start to finish . Lights and sound were excellent. Can't fault him at all , a fantastic team. And will definitely use again." "I booked Steve Justin for my 60 th birthday party & he did an excellent job, very professional & the sound quality was great and all the lighting effects where just incredible. I have and will continue, to recommend Steve Justin Road show. Very very happy and thanks to Steve, everyone had a fantastic evening. Well done Steve." "Lovely people, helpful, polite & great music. Played exactly what my girls wanted. Brilliant Evening"
"Steveandjustin roadshow... What can I say, an absolutely blinding night! Defiantly going to hire you again. You catered from all ages and all music genre! Can't complain one bit. Thank you for making our Boxing Day party a hit!" "Steve and his crew were great, they had an amazing set up including a wide variety of lights and a very powerful sound system. I wouldn\'t hesitate to recommend them to anyone and look forward to working with them again." 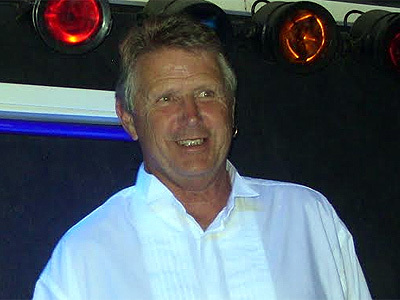 Steve Justin Roadshow also offers a range of additional party services not directly linked to musical entertainment. 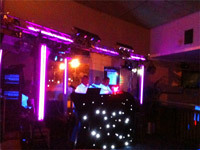 Get FREE no-obligation disco quotes from Steve Justin Roadshow and other DJs covering your venue. Take 2 minutes to fill in some basic details and we'll do the rest! If you are contacting Steve Justin Roadshow about an event, it's always a good idea to include the DATE, LOCATION, EVENT TYPE, AGE GROUP and TIMINGS to speed things up!